Morgan Lewis announced that David Ramm, a corporate lawyer with an extensive background in a wide variety of transactions involving technology and other industries, has joined the firm as a partner in its London Business and Finance Practice. 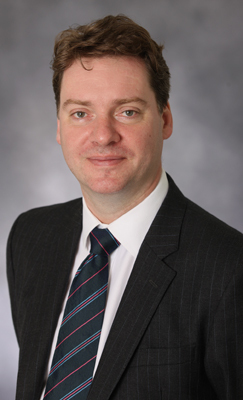 David is the third lateral hire into Morgan Lewis’s London corporate team this year. The move further strengthens Morgan Lewis’s ability to serve clients in private equity and M&A transactions. Dr. Ramm, who focuses on private equity, venture capital and general mergers and acquisitions matters covering a broad range of technology sectors—with an emphasis on credit card and payment solutions—previously headed the London corporate department of another international law firm. He also headed that firm’s London private equity and venture capital practices. His international client base includes prominent financial institutions, private equity funds and technology related companies. Dr. Ramm also works extensively with businesses to commercialize their intellectual property assets. “Bringing David on board gives us important additional strength to work with clients in strategic transactions, private equity matters and venture capital investment, while expanding our capacity to support other practices across the firm,” said Firm Chair Francis M. Milone.